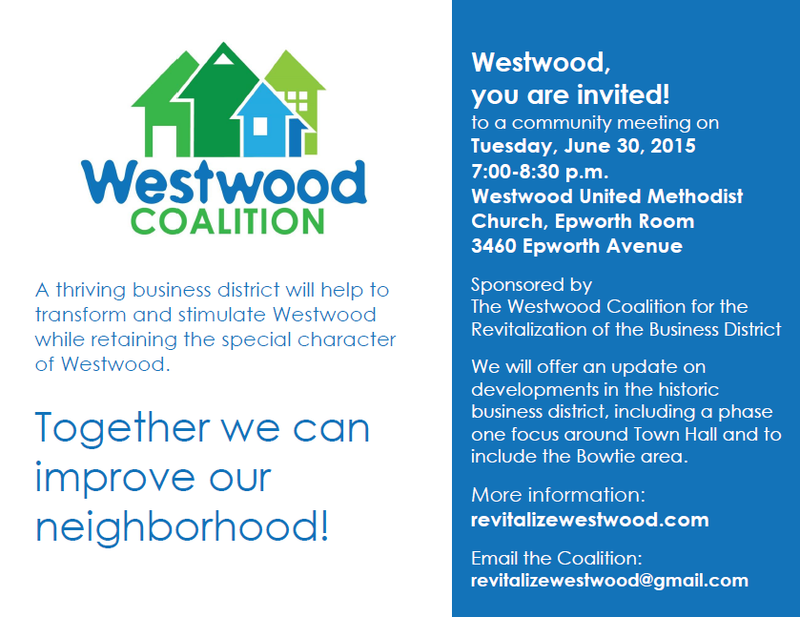 The Westwood Coalition invites you to an update on the goings on with plans to revitalize Westwood’s historic business district. Join us on June 30, 2015 at 7 pm in the Epworth Room at Westwood United Methodist Church. 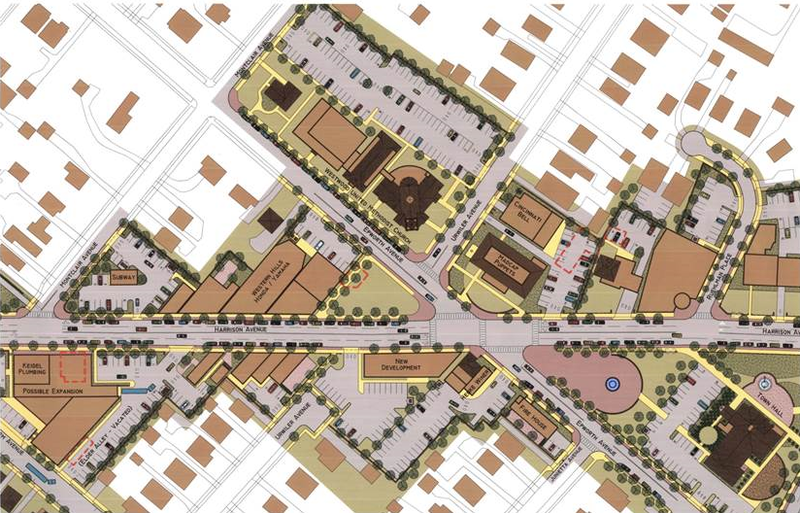 There are developments around “phase 1”, which includes the area from the intersection of Harrison & Epworth to the intersection of Harrison & Montana, around Town Hall grounds. Join us and get a close look at the ongoing process to act on the recommendations this neighborhood has made.